Kelly scavenges for scrap metal from the hundred thousand abandoned buildings in a part of Detroit known as "the zone," an increasingly wild landscape where one day he finds something far more valuable than the copper he's come to steal: a kidnapped boy, crying out for rescue. Briefly celebrated as a hero, Kelly secretly takes on the responsibility of avenging the boy's unsolved kidnapping, a task that will take him deeper into the zone and into a confrontation with his own past, his long-buried trauma, memories made dangerous again. 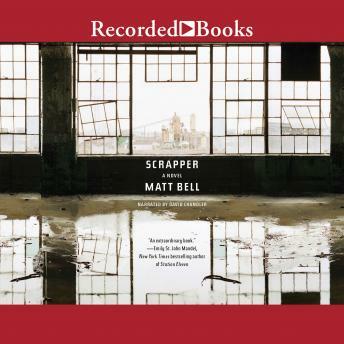 Scrapper is a devastating reimagining of one of America's greatest cities, its beautiful architecture, Its lost houses and its shuttered factories, its boxing gyms and storefront churches, anywhere hope lingers. With precise and powerful prose, it asks: What transgressions would we allow if we believed they would ensure the safety of the people we loved? What do we owe for our crimes, even those committed to protect our charges from harm?